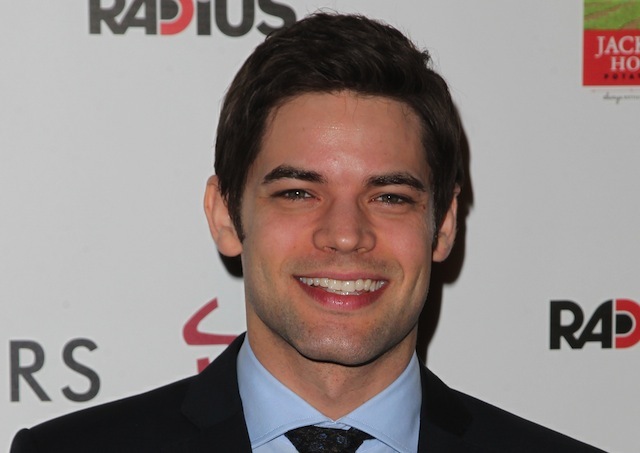 The character announced as part of the pilot’s cast some time ago, the role of Winslow “Winn” Schott has been cast on CBS’ upcoming DC Comics series, “Supergirl.” According to TheWrap, Schott — who comic book readers may recognize as the alter ego of The Toyman — will be played by The Last Five Years star Jeremy Jordan. According to the outlet, Jordan will guest star in the pilot episode and will likely return later in the series. Jordan joins a cast that already includes Melissa Benoist as Kara Zor-El, Mehcad Brooks as James Olsen, Laura Benanti as Alura Zor-El, Calista Flockhart as Cat Grant, Chyler Leigh as Alexandra “Alex” Danvers, David Harewood as Hank Henshaw and, in mystery roles, Dean Cain and Helen Slater. Hailing from Warner Bros. TV and Berlanti Productions (who also produce the hit DC Comics series “Arrow” and “The Flash” for The CW), “Supergirl” is based on the characters from DC Comics and centers on Kara Zor-El, who comes to Earth after escaping the destruction of Krypton. After many years hiding her abilities, she joins the ranks of her cousin Superman to become the hero she was meant to be. The Toyman first appeared way back in 1943’s “Action Comics” #64 and has been reinvented several times over the past few decades. On “Supergirl,” the pre-supervillain Schott will appear as one of Kara’s co-workers at CatCo., a company run by Flockhart’s Grant. The pilot episode was written by Ali Adler (“No Ordinary Family”) and Greg Berlanti (“Arrow,” “The Flash”). They will also executive produce along with Sarah Schechter and Warner Bros. TV. The show has a series commitment at CBS.